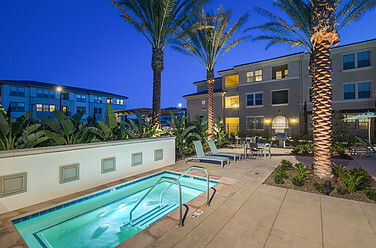 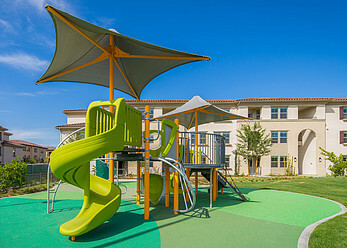 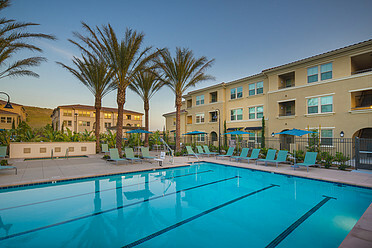 Anton Portola is a 256-unit Mission-style apartment community in Irvine, on the Irvine Ranch. 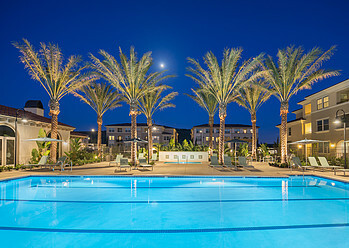 With 55,000 acres of preserved open space, Irvine Ranch is the leading master planned community in Orange County, and offers ease of transit to denser hubs of employment and entertainment. 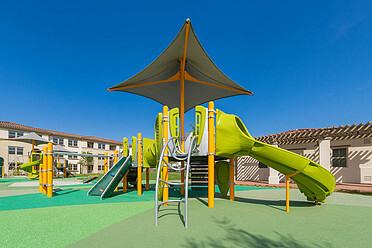 In addition to its proximity to open space, Anton Portola includes three dedicated park areas. 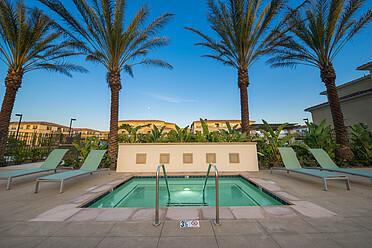 Other amenities include a clubhouse, pool, spa, barbeque area, and WiFi lounge, all of which add to the overall sense of relaxation paired with connectivity. 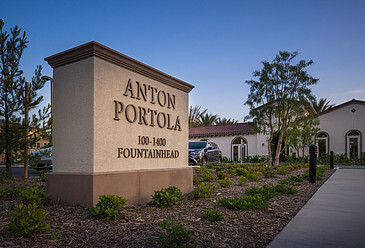 The homes at Anton Portola are available in one and two bedroom floor plans and offer residents the option of private garages.